Rihanna was the picture of happiness as she relaxed on a beach in Barbados. 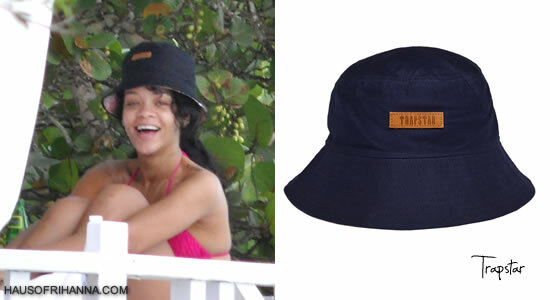 Rih wore a pink bikini and sheltered herself from the sun with Trapstar‘s Sunrise reversible bucket hat. The hat is navy blue on one side and the other side features a festive tropical print.